I insist that we leave the house every day no matter how cold and miserable it is outside. This means we often spend more time bundling up and then de-bundling than actually playing outside. My efforts to do something fun every day with the kids is more challenging in the winter months, but it's also resulted in some pretty cool discoveries. 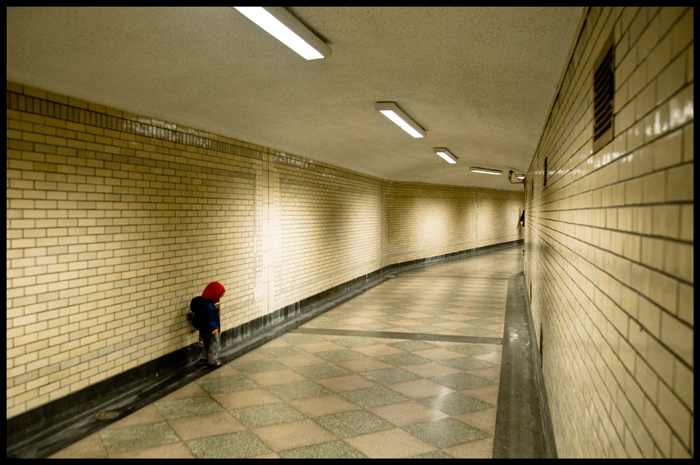 I took the above photograph a couple summers ago in the tunnel between the old GM Headquarters building and the art deco Fisher Building. 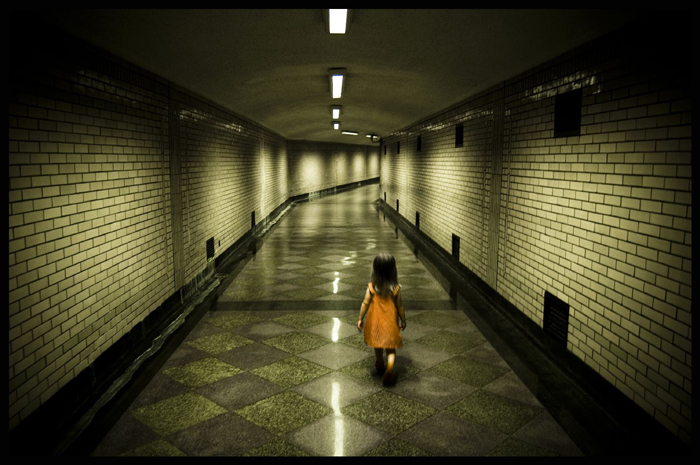 The tunnels are like spookier versions of those Minneapolis skyways. 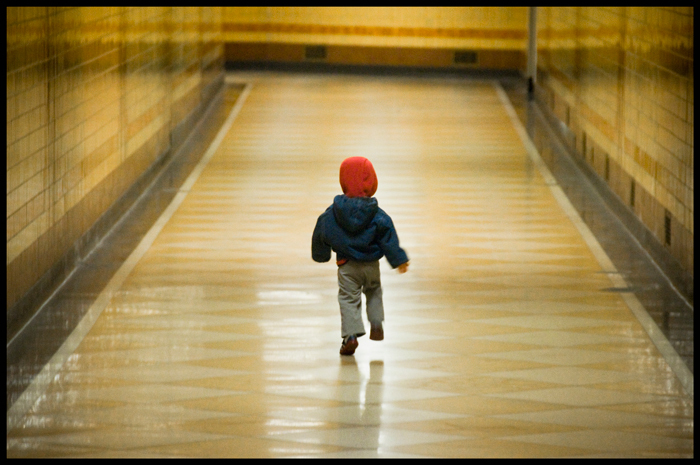 A few weeks ago we went back to New Center and spent a few hours burning stored-up energy running through the tunnels and around the beautiful lobbies and public areas of the buildings themselves. 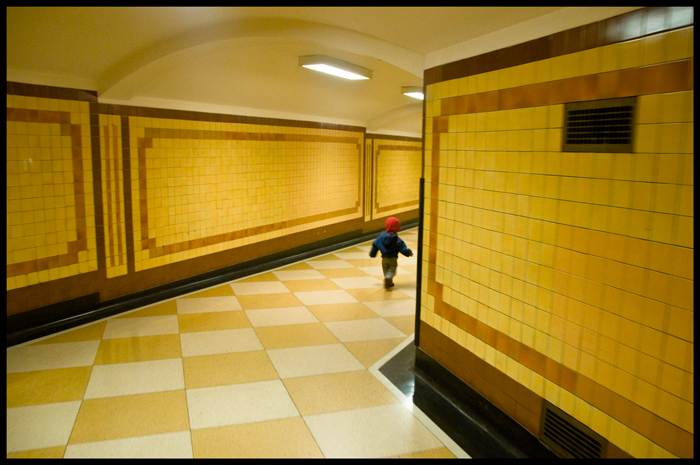 This tiled tunnel is between the Fisher Building and the offices of the architect of both structures (Albert Kahn). The tunnels are great for echos. We only see a few other souls down there (always business types) and the kid always takes one helluva nap. Over the next few days I'll write about some other places we've discovered where we annoy the working man.